Yall, I could eat Mexican food every day of the week. I love love love it! 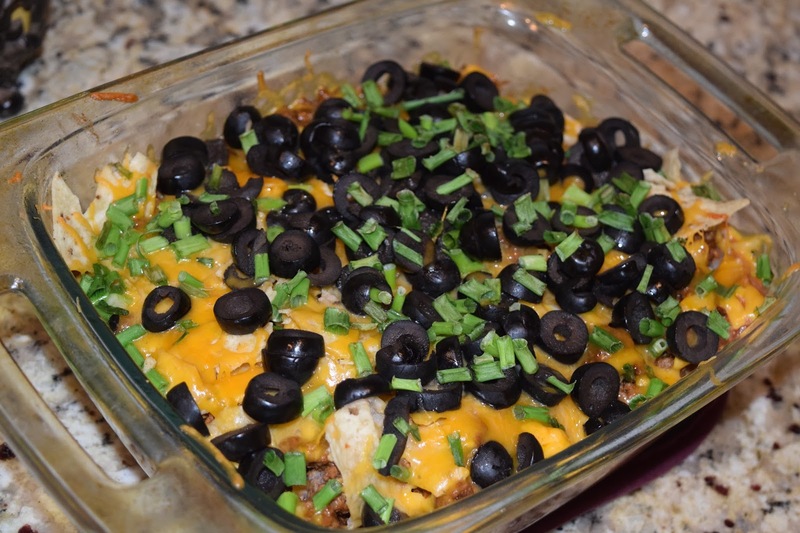 I am always looking for new variations using those same ingredients I know and love, and when I stumbled upon this 30 Minute Taco Bake, I knew I had to give it a try. It did not disappoint! It couldn't have been simpler, and it was a hearty, one-dish meal. Done and done! 1. Preheat oven to 350 degrees and spray an 8x8 baking dish with cooking spray. Set aside. 2. In a large skillet, brown ground beef and drain any fat. Add taco seasoning and 3 Tbsp of water and stir. 3. In a small bowl, stir together refried beans and salsa and microwave until hot (about 2 minutes). 4. 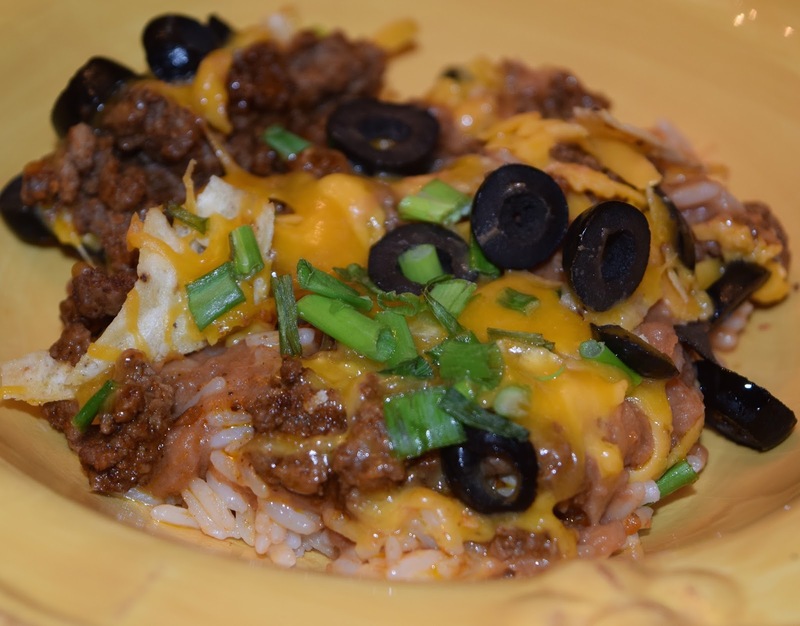 Spread cooked brown rice across the bottom of the baking dish and layer refried bean mixture on top. 5. Add ground beef mixture on top of refried bean mixture. Sprinkle half of the cheese followed by all of the crushed tortilla chips and top with remaining cheese and black olives. 6. Bake for 10 minutes or until cheese is melted. Garnish with green onions and serve. This looks so good! I love recipes that you can put together and then just bake (so easy! ), and I like that this recipe doesn't have tomatoes in it or look overboard with the salsa. This looks absolutely delicious haha I've actually been wanting tacos for a few days now. It's one of my favorite foods.